Based on the best-selling children’s book, The Gruffalo is a magical tale of a mouse who takes a stroll through the woods. 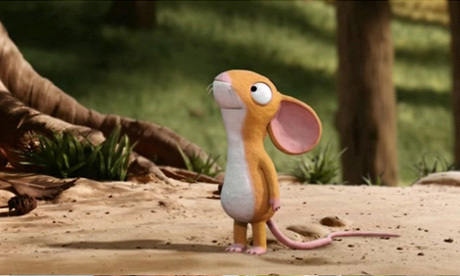 Encountering three predators who all wish to eat him, the adorable and confident mouse has to use his wits to survive. He tells his predators that he is meeting a monster, which scares each of them, but what will mouse do when comes face to face with the terrible product of his imagination? The Gruffalo will be available at your local retailer or at www.NCircleEntertainment.com! 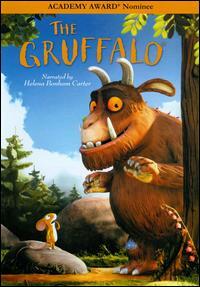 The Gruffalo is a wonderful book and it makes a fabulous movie. As a family we have watched The Gruffalo at least 5 times since the DVD arrived at our house. The kids have watched it even more. Actually, the kids have watched it so many times that they walk around quoting lines from the film regularly. Aiden: I like it. I like the part where where snake said "goodbye little mouse". I like the little mouse the best. Owen: It's weird but it is funny because the mouse tricks them all. It isn't long enough though. Olivia: I like the part where the fox says come and have lunch in my underground house. I like the little mouse and the fox and the gruffalo best. 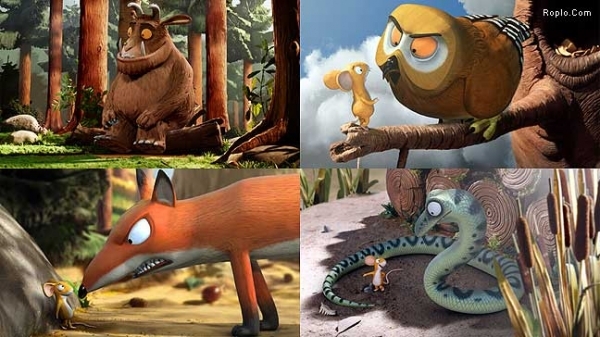 The Gruffalo is a great little movie and we all highly recommend it! Play Kitchen or Baby Nursery? Win a $2500 Shopping Spree at The Brick! so much better than unpacking!